Cleaning and polishing by hand develops a translucency that only French polish can achieve. 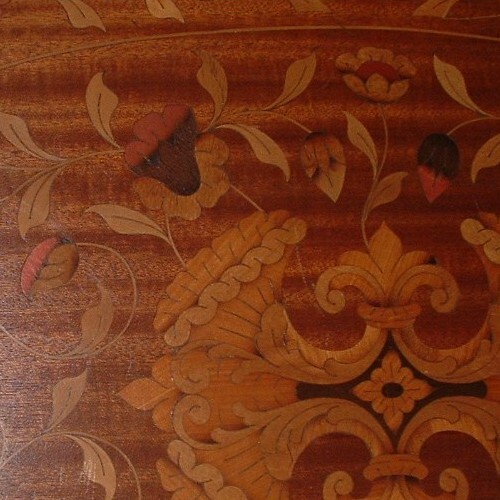 Our craftsmen treat the wood with silk powder and varnish made from melted shellac flakes and alcohol. The varnish is then rubbed in with mesh wrapped in fine cloth. Owners of fine furniture turn to us for our expertise in the restoration of Japanese and Chinese lacquer. The intricate designs demand strong attention to detail. Imported gesso and color pigments are applyed to damaged lacquers. Carefully sanded and polished, the finished work is to be treasured, to be prized for generations to come. Andre Charles Boulle was a French cabinetmaker in the service of Louis the XIV. 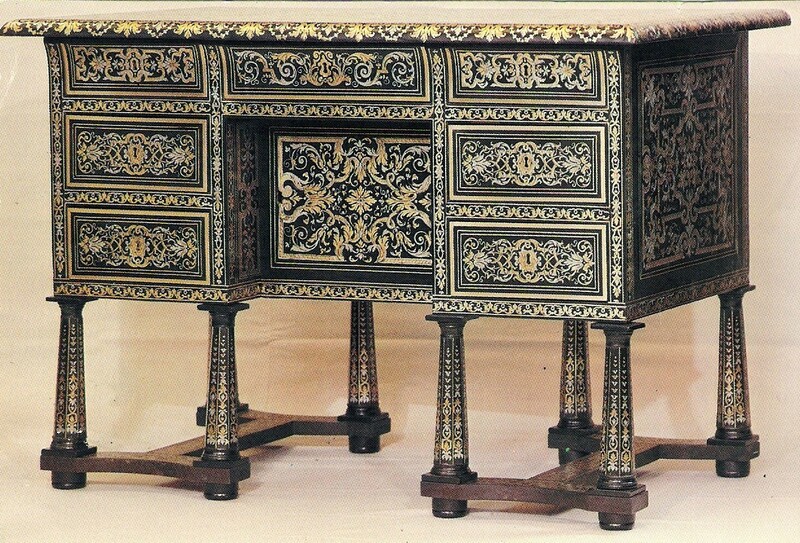 He gave his name to the technique of Boullework, a style of marqueterie using brass, tortoise shell, ebony, putter and sometimes marble and semi - precious stones. Like wood, the brass pieces are held by glue made of sinew and bone. Recapturing the beauty and elegance of Boulle antiques is difficult, but LG sets the standard. Restoring and matching old patina on gilded pieces is also part of LG's many talents. Imported goldleaf, gesso and clay (France, Italy and Germany) are used to recreate the beauty of gilded furniture , frames, chandeliers and home accents.